A plot element within the 2009 Broadway musical Rock of Ages hinges on the fate of a beloved club, The Bourbon Room, and the lives of those who frequent it—an irony that won’t be lost on Seattle audiences still reeling from the yet-to-be-determined future of the city’s legendary music venue The Showbox. (Will it become a 442-unit high-rise apartment building?) In a stroke of art imitating life, Galen Disston, the lead singer of local indie darling Pickwick (which started out playing venues such as The Showbox), will make his theatrical debut in the lead role of Drew. 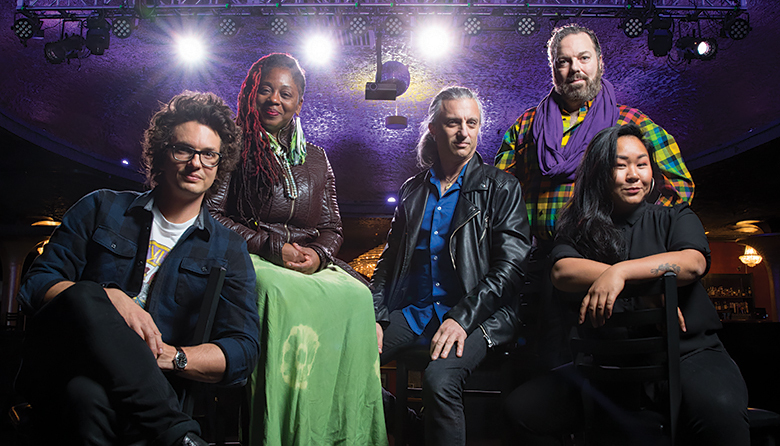 Other notable Seattle musicians, including Black Stax front woman Felicia Loud and Ann Wilson’s (of Heart fame) bassist Andy Stoller, and writer/vocalist/actor triple threat Sara Porkalob, round out the cast with a story fit not just for the ages, but this very moment.